"I love recycling and up-cycling antique silverware into jewellery and fashion accessories for so many reasons. I'm glad I can play a little part in helping our environment. I love the idea of taking someone's personal silverware and making memory pieces from it so they can wear and use it instead of stuffing a chest of silver in a cupboard and forgetting about it. What a great way to bring family memories to life every day! I enjoy supporting small business and handmade throughout our communities, province and worldwide. You have to be so very disciplined to run your own small business. You have to get out of bed each morning and do your production work, do your bookkeeping, do your social media work, research, design, create, order and package and label. The days are long! Preparing for a show can be grueling but it can also bring a rush of adrenalin. Even though it's hard work, I adore what I do!" Kathy Anderson will be exhibiting her unique, vintage flatware jewellery this weekend at Artfest Toronto. Posted on September 5, 2015 by Lory MacDonald and filed under Jewellery, Green Art and tagged Artfest Toronto Artfest Jewellery Vintage Upcycling Eco Friendly. S. Dias Arts incorporates up-cycled items in his artwork! S Dias Arts has been specializing in fine woodworking for over 30 years. He generally focuses on the use of Ontario hardwoods and materials salvaged from up-cycled items such as old packing crates, pieces from building demolition and a variety of fallen trees. He then converts these natural woods into one-of-a-kind stunning art pieces. His work is truly green and unique in each piece he crafts. 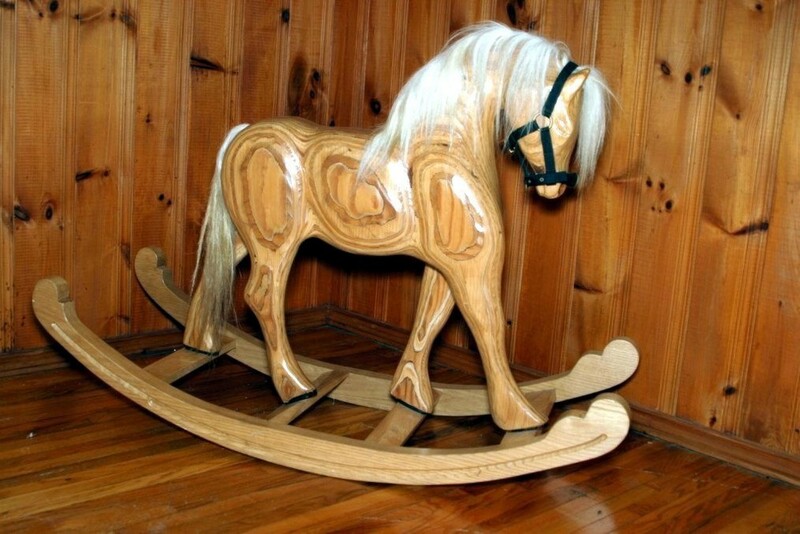 Products crafted by S Dias Arts include serving trays, blanket chests, tables, bellows, rocking horses and benches. Owner, S Donald Speller works to meld interesting woods and high-quality joinery (dovetails, splines, dowels, box joints, etc.) in the design and creation of his work which has both a pleasing form and useful function. Find S Dias Arts at the upcoming Artfest Toronto show! Posted on August 18, 2015 by Lory MacDonald and filed under Green Art, Other and tagged Artfest Toronto Artfest Woodwork Upcycled Green Art. Forks & Fashion - the new Green trend of vintage wearable art! Forks and Fashion crafts a selection of up-cycled vintage silverware, handmade into unique fashion accessories and jewellery for all occasions! Artisan Kathy Anderson's collection consists of radiant spoon money clips, tie clips, barrettes, pie server cuff bracelets, key chains, spoon and fork bracelets, earrings rings, fork rings and demitasse spoon rings. **All hand made by Forks & Fashion using green energy in their quaint shop. Kathy lives in a small village outside of Chatham Kent on a hobby farm where they do all they can for the environment by recycling, composting, up-cycling and using green energy with a wind turbine attached to their barn. Kathy and her family are firm believers of supporting the local movement and the Earth. So, Kathy focuses on shopping ethically from the local farmers and artisans. She first created Forks & Fashion 4 years ago and continues to expand her eco-friendly line of jewellery and follow her passion. You'll find her line of vintage up-cycled jewellery in a GTA gallery, in a boutique in the Niagara region and within her home community. And of course, at Artfest Toronto, this Labour Day long weekend from Sept 4th-7th at the Distillery. Posted on August 15, 2015 by Lory MacDonald and filed under Green Art, Jewellery and tagged Forks Jewellery Artfest Toronto Green Art. Hobo's Designs by Renee Morris available at Artfest Kingston! July 1st-4th - Canada Day long weekend - Hobo's Designs will be exhibiting their collection of 'funky cross-body hobo bags and stylish up-cycled clothing. Hobo's Designs is your primo destination for funky hand-made hobo bags and uncycled clothing! The artisan, Renee Morris, combines high-quality craftsmanship with a wide array of colours and fabrics to make these amazing, one of a kind, textile creations. These bags are reversible, machine washable and ready for any type of adventure. Posted on June 16, 2015 by Lory MacDonald and filed under Clothing, Green Art, Handbags and tagged Hobo's Designs Artfest Kingston Exhibitor Renee Morris. Embody Clothing ~ Artfest Apparel for the Stylish, Creative & Eco-friendly! Posted on May 27, 2015 by Lory MacDonald and filed under Clothing, Green Art and tagged Artfest Upcycled Green Clothing Embody Artfest Port Credit. Deja Vu Design Artist - Laura Levitt at Artfest Port Credit! Friendly ~ Upbeat ~ Fun - Yes, that's Laura Levitt! Laura Levitt is the driving force of DejaVu Design. Laura has a background in international wholesale, primarily in developing baskets, garden items and furniture. After 15 years of travelling for work to China, the Philippines, Vietnam and Europe, Laura has created a new company, focused on recycling textiles. The clothing and accessory line is rich with imagination, practicality and fun. Wearing the DejaVu style makes a strong statement and contributes to a better environment by up-cycling! Laura's one-of-a-kind designs are made from re-used materials and brought back to life with her creative eye for stylish clothing! 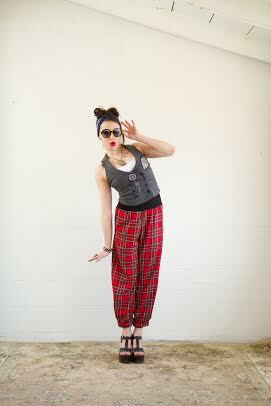 Deja Vu Designs is a collection of hip clothing for the BOLD and BRAVE! Born from a love of all things that promote individual style, and sustained by a desire to create environmentally friendly clothing, DejaVu Design creates funky and original garments for all ages, shapes, sizes and personalities. DejaVu Design is dedicated to the reinvention and recombination of garments & textiles - A Green Clothing line for a better world! Find Laura at the upcoming Artfest show. She is super awesome and a social butterfly, too! From May 29th - 31st at Memorial Park in Port Credit - Artfest will be happening all weekend long! See you there! Artfest Port Credit: May 29-31 at Memorial Park. Posted on May 26, 2015 by Lory MacDonald and filed under Green Art, Clothing and tagged Design Deja Vu Laura Levitt Green Clothing Sustainable Port Credit Artfest. Portrait of a traveling artisan: RAW Eco-Jewellery by Devaki! RAW is a traveling curio shop of handmade bohemian style jewellery. Bold, bohemian inspired, handcrafted collections at Artfest Port Credit, Artfest Kingston and Artfest Toronto! Devaki and a little 4 yr old wise spirit can be found dancing, loving & creating at festivals and events across Canada - a proud participant in Canada’s artisan community. RAW Eco-Jewellery: A blend of non-precious, elemental metals, and dedicated craftsmanship form the backbone of the RAW aesthetic. RAW creates jewellery using traditional, metalsmith and fine techniques often drawn from reclaimed sources. Otherwise overlooked materials are stripped, prepped and transformed by dedication and love of a hammer, anvil & files. Hand cut, pierced, twisted, cold forged and soldered metal coaxed into incredible details, RAW seamlessly combines relics from our industrial heritage with artifacts of our natural world. Edwardian metal buttons, brass and copper curiosities, antique time pieces, rich silks and vintage textiles are carefully paired with crystals, bone, antlers and exotic seeds to tell stories of the past, present and future. Inspired by ethnic cultures, nomadic lifestyles and intrinsic values, everything RAW is created with quality and intention. You'll be truly intrigued by RAW's hand-crafted and re-purposed creations! LIKE RAW on Facebook. See you at the shows! For a list of RAW Eco Jewellery's events, click here! Posted on May 24, 2015 by Lory MacDonald and filed under Jewellery, Green Art and tagged Raw EcoJewellery Devaki Artfest Port Credit Kingston Jewellery Vintage Upcycled. Carnival of Kitsch rescues fabrics of the past! Kathryn Smythe is a crafts person creating old fashioned new things. From her 1934 toaster to her 1962 Ford Galaxie hot rod, she revels in the workmanship and ethos of days gone by. Kathryn has adopted from this earlier time a commitment to craft with integrity as she brings her unique sense of style, pattern, design and value to each found material. Smythe revives fabrics from the 1940's to the 1970's and creates beautiful modern accessories. 30 years of craft based industry experience in Toronto, a lifetime of sewing and her obsession for vintage items come together culminating in her particular vision. Kathryn left the city of Toronto in 2014 to pursue her passion full-time. Carnival of Kitsch rescues the fine fabrics of the past and refashions them into stylish, practical accessories for the present. From concept through design each piece is hand made from repurposed vintage (1940's-1970's) curtains, upholstery, cushion covers, tablecloths and other forgotten fabrics of everyday life. All designs begin with an idea, progress to a sketch and are then developed into a full working pattern. Fabric is selected and cut individually for each object, allowing greater care to be taken when highlighting the most delightful sections of these unique remnants of textile history. Once all the pattern pieces are cut they are then meticulously sewn into the final object. The last stage is to attach the finishing elements, snaps, straps, handles and other embellishments such as vintage buttons and trims. All aspects of production including sourcing the vintage materials, pattern design and drafting, fabric selection, cutting, stitching and finishing are performed by me. The product line includes messenger bags, hand bags, shoulder bags, fabric wrist cuffs, cosmetics and toiletries. Find Kathryn at Artfest Port Credit, from May 29 - 31! Posted on May 24, 2015 by Lory MacDonald and filed under Handbags, Green Art, Other and tagged Handbags Artfest Port Credit Purses Repurposed Vintage. The Green Art Trend continues at Artfest Port Credit! Some of our Artfest exhibitors create eco-friendly pieces that started their life as something else. The green movement is on the rise and the green art trend lives on within our Artfest shows. We are proud to be exhibiting a variety of Green Art at our Artfest shows and what an amazing way to re-create, re-use and bring back to life something spectacular from the past! Artfest Port Credit features a collection of fine and up-cycled green art so be sure to give our Earth-friendly artists a high five! Artfest Port Credit is a welcome addition to our family of juried art and craft shows. Artfest Ontario produces top quality festivals held in beautiful and unique historic settings. Situated at the mouth of the Port Credit River and the heart of the picturesque downtown waterfront, the location is an ideal setting for the art show. Artfest welcomes you all to join in on the fun, good music and mouth-watering food choices while browsing throughout the park and visiting our talented artists and artisans. Posted on May 22, 2015 by Lory MacDonald and filed under Other, Green Art and tagged Artfest Port Credit Green Art Upcycled.